The Carole Nash Irish Motorbike and Scooter will be held from the 3 – 5 March and is the largest gathering of every marque of motorbike and scooter for sale in Ireland. 2017 New Bikes, latest accessories, clothing, helmets, training, adventure holidays … in fact just about everything you need for you and your bike! One of the main attractions of this year’s show has to be the exclusive personal Joey Dunlop Tribute which is the first time it will be on display in southern Ireland. See his race bikes, trophies, leathers, helmets from his astonishing 31 years of racing. Celebrities such as John McGuinness, Mick Grant and Eddie Laycock are scheduled to speak over the course of the three day show. It is a firm show favourite with over 50 stunning custom bikes on display that are works of art and engineering genius from all over the world. Sponsored by Deltran Battery Tender with the support of Zodiac Intl and AMD World Championship. 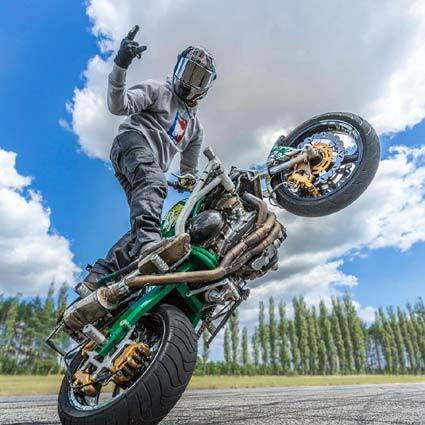 Be ‘wowed’ by 20 top freestyle motorcycle stunt riders competing for the title of ‘Ace of Aces’ all day ever day of the Show. The Ace Global Star Starz Competition is sponsored by Rock Oil and R&G Racing plus supported by Ace Café London. Motorcycle enthusiasts all over the planet know about The Ace Café London and its pivotal role in the cultural revolution that shaped both the music and machines for future generations. At speeds approaching 100 miles per hour – check out this mad cap Isle of Man riders and their crazy gang show. The Rockabilly band, Skinny Elvis, will be performing on the main stage supported by the rather fine Rockabilly Roses and Fire Show with everyone dressed by one of the cool Rusty Pistons. The Grafton Barber team will be offering to groom the visitors that ‘modern’ Rockabilly look. Check out the Harley Davidson’s in the Shop – they’ll even have the bike to match your new look. There’s lots of speed and excitement with the Off Road Flat Track Racers and for the first time show visitors can learn to ‘flat track race’ too. Don’t miss your chance to see how fast you are on a MotoGP Motorcycle Racing Simulator. This is free of charge to all visitors each day of the show. To be in with a chance of winning either head over and ‘Like’ our Wheelsforwomen facebook page and share the competition post or make sure you’re following us on twitter @Wheelsforwomen and retweet one of our Irish Motorbike & Scooter show competition tweets. 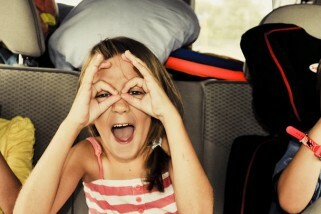 Both of which will notify us of your entry! Win one of 3 pairs of tickets to the AXA Bikecare Skerries 100 Win Tickets to the AXA National Classic Car Show 2016 Win! Tickets to the Irish Motorbike and Scooter Show 2015 Win Tickets to the RIAC National Classic Car Show Win Win Win ……. 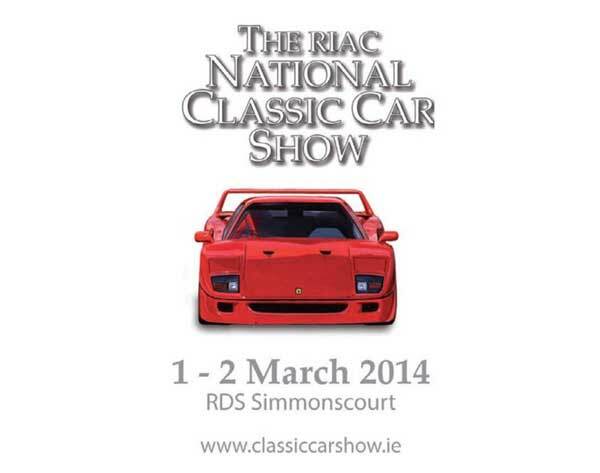 Tickets to The Voice of Ireland Live Show Win Win Win ….Tickets to the RIAC National Classic Car Show Saturday 9th and Sunday 10th of February, 2013.